to withstand the most demanding environments during grain handling operations. 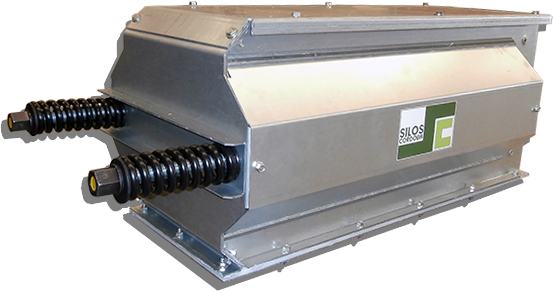 The solid and robust design of the TCI Grain Conveyor provides years of reliable service. Made of S350GD galvanized steel sheet with Z-600 metal coating, the TCI Industrial Grain conveyor can operate efficiently with a wide range of grains, seeds, legumes and pellets. Robust and clean finishes and a simple design are the main features of the TCI heads. It features a new anti-accumulation system with a cleaner and simpler design that prevents material spillage in case of jam. 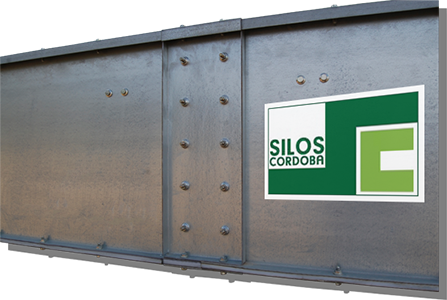 It is equipped with a reaction arm – designed and manufactured by Silos Cordoba – inspection windows and binding to the intermediate bodies by side strips, among other features. and more rigid joints, allowing a length up to 3000 mm. 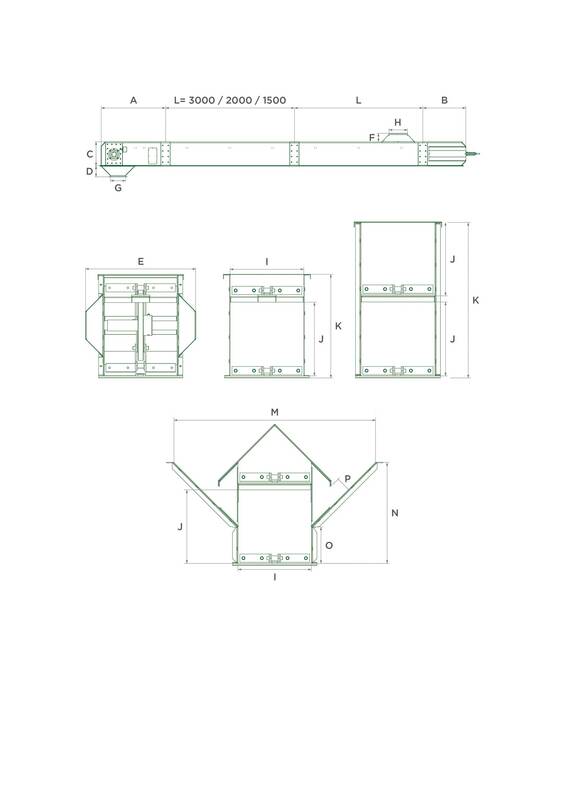 The intermediate sections come with high quality wear resistant material in the bottom as standard, although it can optionally be installed on the sides. All mechanical elements are fully protected thanks to its design. It features a chain shock absorber system, which ensures longer operating life of the chain and prevents its breakage. Also, the chain return system ensures minimal maintenance while allowing the chain not to be so tight. 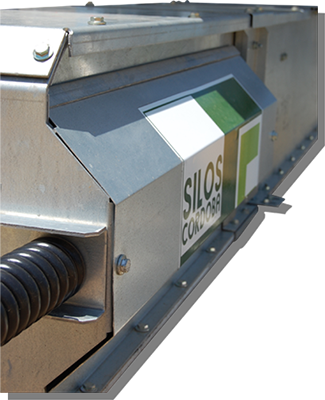 The anti-accumulation system prevents grain residues remaining at the bottom of the tail section. The rotation sensor comes as standard. * Specified dimensions may suffer modifications.